Core Root Crafts are carved from a species of Chinese Fir called Shan Mu, which grows abundantly in the mountains of Central China. Shan Mu lumber is used for a wide variety of products, such as crates, construction, and furniture. Root Crafts raw materials come from stumpage left by loggers, the removal of which allows for faster reforestation. Each gnarled stump is then transformed by skilled carvers into the beautiful and unique Root Crafts products that they proudly offer. 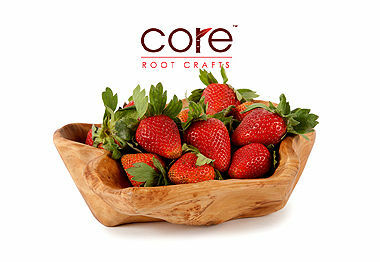 The lacquer finish protects and magnifies the natural beauty of Root Crafts, making it safe for food contact. However, they do not recommend hot food being placed in their serve ware and tableware. Due to the natural fissures and knotholes possible in each piece, they’re unable to guarantee their bowls or platters will contain liquid reliably. 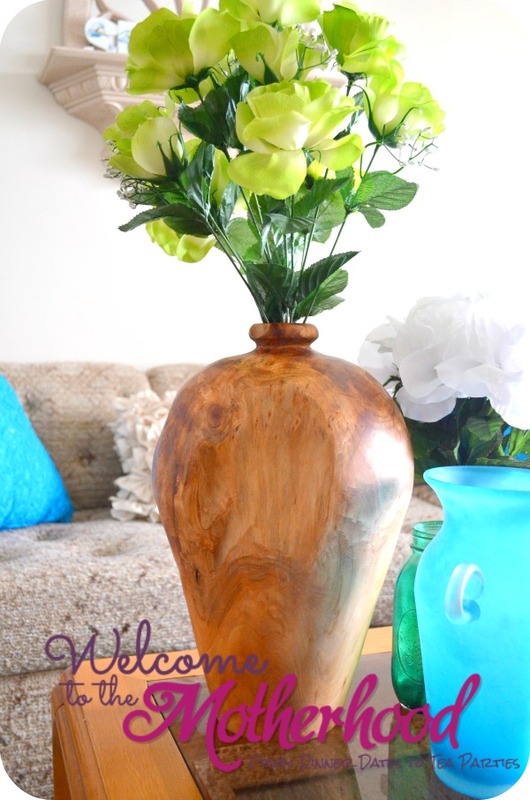 Nature-inspired and eco-friendly décor such as the Large Root Urn ($150) is a beautiful and functional statement piece that adds character, durability, warmth, and richness. I’ve placed it on my coffee table, alongside my aquamarine vase from Novica and glittery, turquoise Mason jar vase that I crafted. 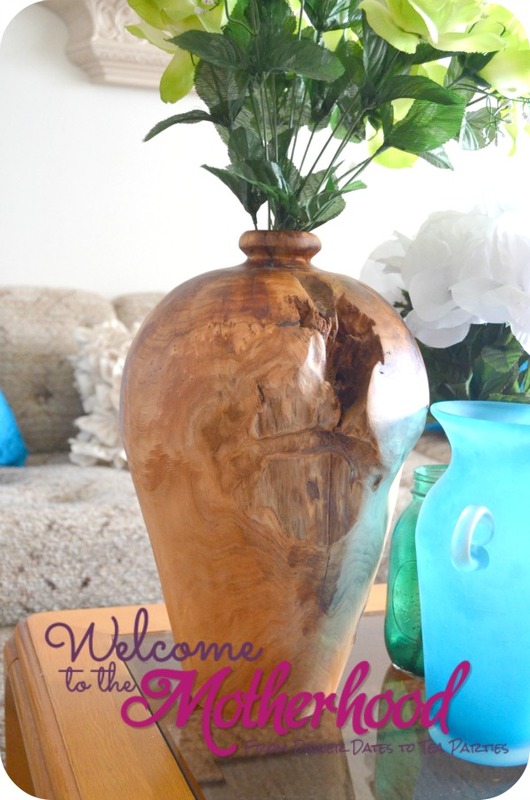 I love how the urn brings an organic feel and blends in harmoniously with my beach-inspired living room. The Large Root Urn would look perfect on their Root Wood Accent Table ($225) or alongside its “siblings” (Medium Root Urn; $120 and Small Root Urn; $80) on a living room mantle. Due to its warmth and rich character, it would look perfect in any room, though! To maintain its luster, Root Crafts should occasionally be treated with a light wax or oil based product. In dry climates, some Root Crafts items may develop cracks over time, which is natural occurrence in products carved from single pieces of raw wood.